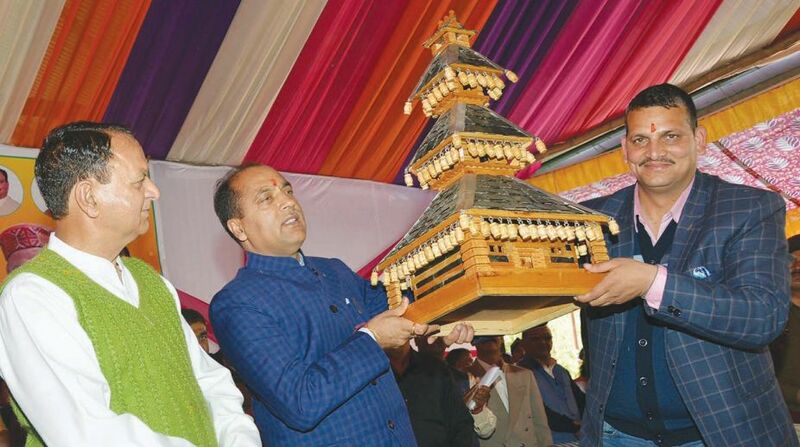 Chief Minister Jai Ram Thakur on Friday said the government has started a special scheme for providing assistance to protect abandoned cattle under which 15 per cent of the total offerings in the temples would be used for Gau Sadans’ operations. In addition, Rs One would be charged from each bottle of liquor sold in Himachal Pradesh for development, construction and maintenance of Gau Sadans, he said while addressing a public meeting at Chail Chowk in Mandi district. He said the government was committed for strengthening the economy of the farmers of the state and an amount of Rs 2,572 Crore has been earmarked for the Irrigation and Public Health sector in the budget for the year 2018-19. In addition, Rs 275 Crore has been allocated for providing drinking water schemes for the next financial year budget. “Providing drinking water to the people is the top priority of the government and till date, 42,522 habitations have been provided drinking water facilities, out of the total 53,604 habitations,” he said. The CM said the new scheme ‘Jal Se Krishi Ko Bal’ scheme has also been proposed in the budget for the year 2018-19, under which an amount of Rs 250 Crore would be spent on providing better irrigation facilities to the farmers in next five years. He urged the people to come forward with suggestions for the development of the state and said, ‘we should work with complete dedication and commitment’. “People have great expectations from the new government and we have to travel with firm steps when we have to travel a long distance,” he said. He said that he had ended the era of cap politics, which unfortunately had divided the people of the state on regional basis. During the present two and a half months tenure of the government, efforts have been made to ensure welfare of all sections of the society and development of all areas of the state. 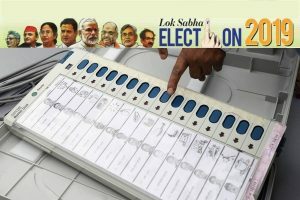 Besides this, adequate budgetary provisions have been made for all the new schemes announced in the budget and even political opponents have appreciated the budget. The previous Congress government had made announcements during the fag end of its tenure without any budget provisions which includes 16 degree colleges, he said. He thanked Prime Minister Narendra Modi for reposing faith in him and said due to wrong policies of the previous government, the state has to suffer a loss worth Rs 200 Crore even in the single excise department. Thakur laid the foundation stone of Lift Irrigation Scheme Chail Chowk in Mandi district to be constructed at a cost of Rs 1,008.55 Lakh and Water Supply Scheme Badhu Dugrain to be constructed at a cost of Rs 147.88 Lakh. “The Lift Irrigation Scheme would provide irrigation facility to 405.61 hectare of area and the scheme on completion would provide drinking water facility to over 5,000 people of eight villages,” he said.